Briefly and to the point. Anyone who thinks his system has been optimized without adding the Blackbodies is missing the boat. They bring about an amazing and addictive improvement. Once sampled there's no going back. I purchased 4 units this summer after reading the great reviews. Initially I was skeptical that MY system could be improved by the field conditioner. I have been piecing together my system for over 20 years and tried all the tricks of the trade. I set these all near my components (my Zune, dac, pre-amp, power amp) and after putting on my favorite Chick Corea album I WAS BLOWN AWAY. I consider these a great bargain and worth it at twice the price. The sound-stage was improved dramatically, there was a certain lightness to the sound and the presence of the sounds I was hearing was unreal. The only issue I have with these is that I have to keep them away from my Orgone generators, also I noticed that my Himalayan salt power crystals weren't repelling as much bad energy, but that was easily fixed by moving them to another room. Regarding the star rating for the Blackbody, I don't know how to rate it with the star system as there is nothing to measure it against - except perhaps for perceived value for money - which is highly subjective. I trust the review will speak for itself. AC Cabling : Four Oyaide Tunami power cords terminated with Oyaide P004/C004 connectors. FIM 302 IEC's ( gold plated copper ) preferred on Nu Force. Accessories : Hi Fi Tuning fuse ( Modwright ) Furutech fuses ( Nu Force ) NOS Mullard 5AR4 & RCA 5687's (Modwright ) Eichmann Toppers on Salks. Stand : Grand Prix Audio Monaco spiked to custom sandbox 840cm x 750cm x 140cm filled with 400-1000um high silica sand with 18mm hardwood formply used as spike interface. Formula One Kevlar composite shelf under source. 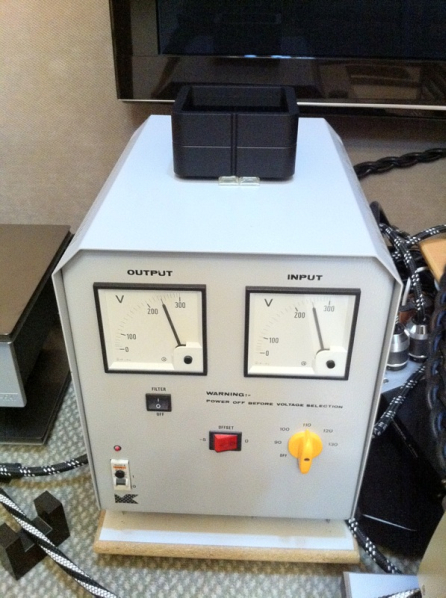 Powerline conditioning : Currently trialing Alan Mahers Quantum Studio, various Infinity CBF in/near power box, Infinity Shields on amp receptacles. 2 Enacoms permanently fitted. Room : 18ft x 12.5ft x 8ft opening into kitchen and hallway at narrow listening end. Salk HT3's spiked to weight calibrated Equa Rack footers on suspended wooden floor. DIY cylindrical bass traps in room corners, set of Cathedral Sound panels front and rear at ceiling level, custom panel traps at first reflection points, wool carpet in front of speakers. 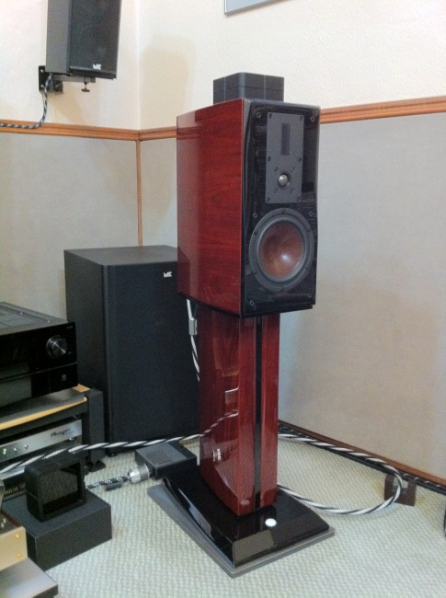 System Strengths : Dynamic, fast, detailed, transparent, large 3 dimensional soundstage - no subwoofer needed. System Weaknesses : Slight glassiness present in upper midrange, may be due to mild high frequency tilt of Nu Force (measured stats) plus Modwright tends to a bright, solid state presentation. History : 10 years of serious tweaking and auditioning of components/cabling/footers/racks. I have come to realise that the devil is in the details. Cabling, resonance control, AC power issues, room treatments, each have to be thoroughly attended to. This is no place for the faint hearted. Without such attention to detail, at best, hi-fi mediocrity is achieved. Back in 1979 I had a beautiful analogue system ( the classic Linn Sondek/Grace/Supex/ Naim amplification/ Gale GS401A speaker combination ). After several years I onsold the system due to the rarity of decent recordings available in North Queensland (land of Oz) at the time. A brief flirtation with car audio culminated in a tri-amped Nakamichi split system. In 2000 the home audiophile bug bit again and this time it was the CD challenge. 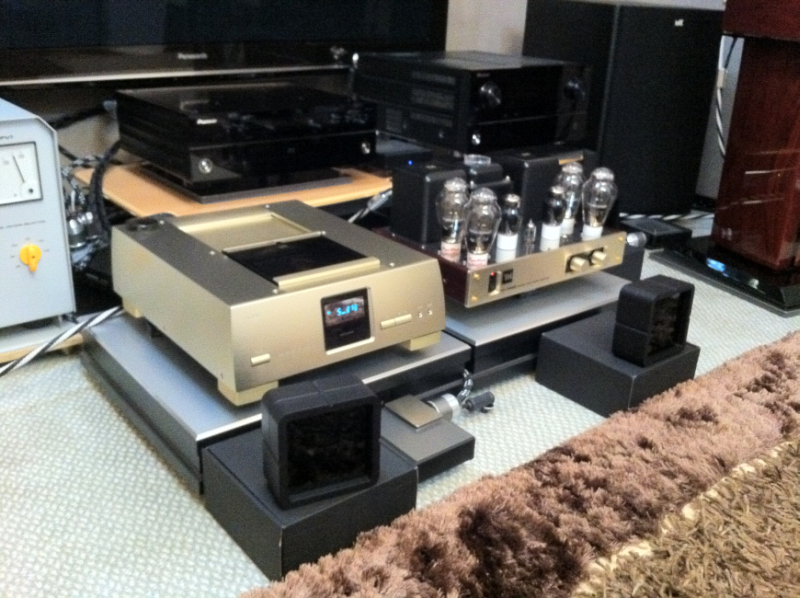 I still own four CD players with the Meridian 508 (a classic) currently outclassed by the valved AMR CD-77. 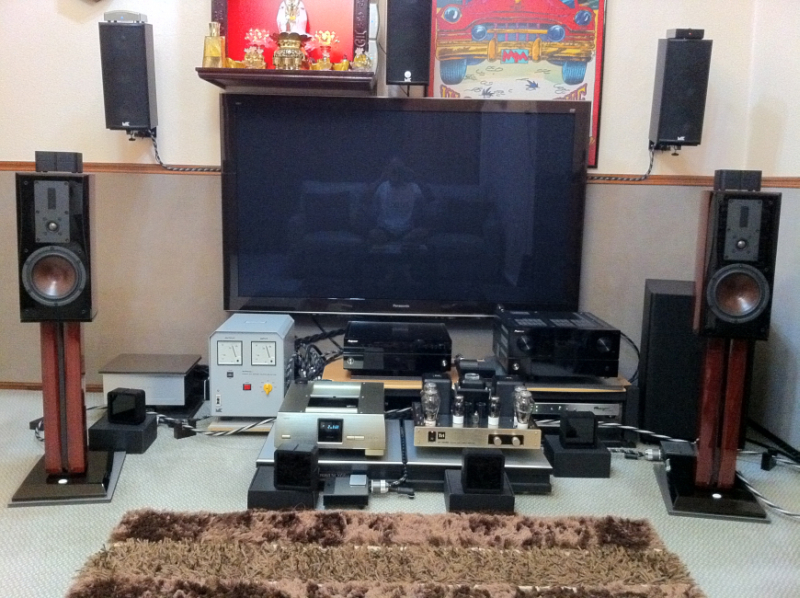 As a member of the South East Queensland Audio Club, I have heard many different types of systems including several in the $100,000 + range, so I am familiar with good, different and indifferent sound. Louis Motek was a pleasure to deal with and it seemed the same professionalism and attention to detail was evident when organising shipment and even packaging ( clearly a perfectionist ) as went into the design of his Blackbody. The unit arrived within days of being posted, fortified with tight-fitting high density black (of course) foam in a black box, superimposed with the Blackbody design on the outside, to mirror the Blackbody on the inside. I believe this was designed so one can test the unit first without removing it from the sealed box, a pre-condition if the item is returned. My first knowledge about Lessloss audio products came a few years ago when I first read about their power cords on Audiogon. 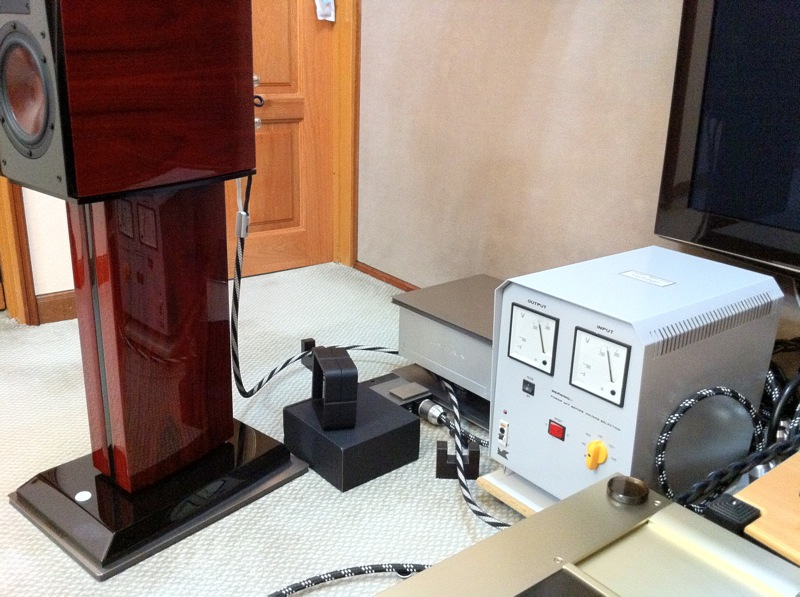 Out of audiophile curiosity, I tuned into their website and was attracted to the level of investigatory detail Louis Motek displayed in the technological ( and yet to be realised ) pursuit of his Blackbody, as well as his established product line. The Blackbody was then previewed in an esoteric sense as Louis had an obvious predisposition to explore theoretical physics and apply it to audio. I approached this with interest but a healthy degree of scepticism - how could one prove or disprove any of this. It was his obvious passion and sincerity that continued to maintain my curiosity and interest. When the Blackbody materialised a few years later, I was going to wait for the professional reviews to roll in before committing to an audition. However the pre-order special roped me in and I thought I'd give it a go, carefully going over with Louis the requirement for returning the Blackbody for a maximal refund, which I secretly expected. After all, this was not a power cord but an intangible black box - a completely passive device located some distance away from the componentry. I suspected it did something but exactly what. I have to this day rejected many well reviewed audio tweaks and accessories as neutrality was more often than not compromised to an unacceptable degree, even though performance in some areas was as claimed. My system is fairly well tweaked and highly transparent. It walks a very fine line and the slightest change can upset the musical equilibrium with hi-fi heaven quickly descending into musical hi-fi hell. I first located the Blackbody under the Nu Force amps, on top of my sandbox ( I preferred the sandbox to the premium GPA Apex footer upgrade ). I figured if the Blackbody was going to clear up electronic garbage, then the switch mode power supplies of the Nu Force amps was a good place to start. In this location, the presentation changed, but for the worse. A sort of sonic smearing took place, rather than enhancement of any kind. To be fair, the Blackbody was located about 15cm from the amps - a little too close to give the proper 30 degree coverage to both amps. 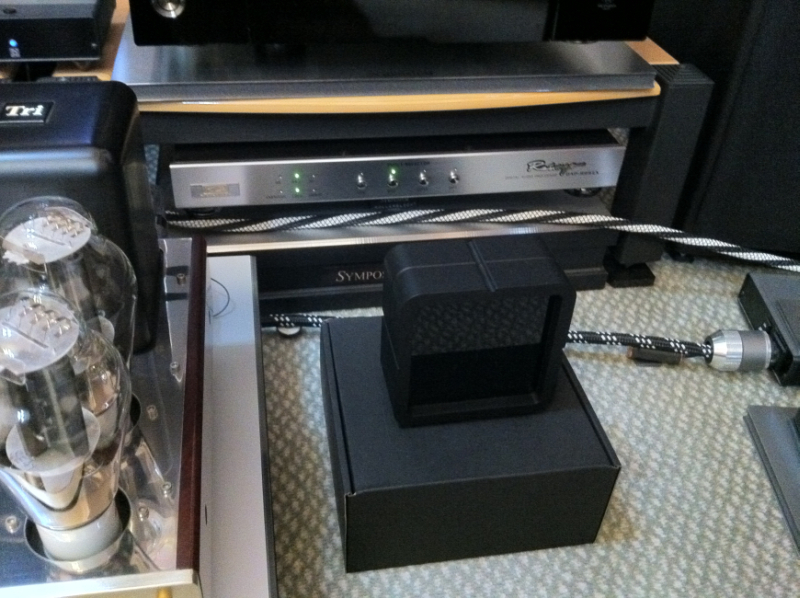 Next I tried it behind the Modwright pre-amp, sitting on the Monaco shelf. Again, only 15 cm from the back of the component on the edge of the shelf. Again the presentation changed, this time more favourably than with the Nu Force. There was some improved ambience and detail but with a trade-off. A shift in the frequency balance towards the highs exacerbated an existing system weakness. On reflection at this point, I realised that anything that I had ever put on the Monaco stand other than the component ( I had tried many different component footers that had worked with my previous Spider Rack and custom granite shelving ) had upset the balance of this finely tuned stand. Even sandbags on top of the sandbox were detrimental to the overall balance while fine-tuning, creating frequency shifts that were clearly audible. So the Blackbody in these locations was imparting a resonant signature of its own by virtue of its mass - which was interfering with its intended passive function. Next I tried a Blackbody facing down on top of the left Salk speaker. Again, a noticeable change with some apparent enhancement of the sound coming from the left speaker - but difficult to say whether this was better overall as it was no longer quite matched to the right. Trying it the other way around yielded the same result. I drew the conclusion that the only way to really tell here was to have a pair of Blackbody's. This would also reveal if the mass of the Blackbody was changing the resonant signature of the speaker enclosure or influencing the performance of the weight calibrated Equa Rack footers ( the Salks weigh 56kg each ). However, it was apparent the Blackbody was doing something positive here and I would have liked to have an extra Blackbody on hand to determine if the sonic result represented value for money. Finally, I located the Blackbody on a CD rack fixed to the wall about 25cm behind the AMR CD-77. By this time I had begun to think it was not going to work in my system. Sitting back in my listening chair, it was as if a switch had been suddenly flicked. There was an immediate, unmistakable improvement in the sonics - an expansion of the soundstage accompanied by improved clarity and detail. On careful listening, the frequency balance was unchanged - the expansion of the soundstage was real and had occurred on its own merits, not due to a tipping of frequencies but an extension in both directions. I immediately removed the Blackbody to confirm this - the difference was black and white. The improvement in clarity and detail was consistent throughout the frequency range and bass fundamentals were more present. The only way I could think to explain this was that some sort of layer of ' grunge ' had been removed that had been previously hidden. Vocal nuances were enhanced and a relative subliminal aspect to the music emerged that made the music sound more like music. There was a realisation that there was no going back. This was not a subtle change but a significant one and rare in its total neutrality. The Blackbody was clearly acting as some sort of grunge filter, as surprisingly, that's exactly what you comparitively hear with it removed. On the question of value for money, this would depend on the heights your system has scaled and which you aspire to. Unless there is some other way of getting rid of the sonic garbage, I now consider it indispensable. Louis tells me this is just the tip of the iceberg and that three located around the source give profound results. My stand doesn't lend itself to this but I am now considering the practicality of suspending a couple from the ceiling, just to satisfy my audiophile curiosity. However, I can say that just one properly located Blackbody is a worthwhile upgrade, without the presence of any downside. I can't say if this has expanded the known boundaries of audio by removing a hitherto unknown contaminant and that it cannot be duplicated by other means - that would have to be determined by those with more resolved and highly tweaked systems than mine. The Blackbodys are extremely good. I've now got the best sound I've ever heard. Listening has become a pure pleasure and joy, and I insist on setting up with the Blackbodys at all future audio shows featuring the Kaweros.